The Amish Tuscany Dining Table is a lovely centerpiece for family gathering. Combining some traditional elements with clean cut lines, the Tuscany stands out without overdoing it. 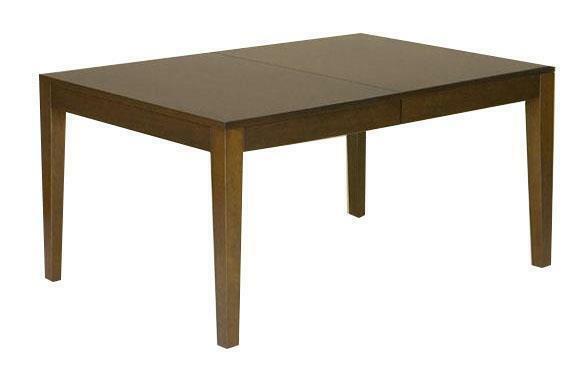 A rectangular shaped solid wood dining table handcrafted with the custom options you like best. Amish furniture promises quality and the Amish Tuscany Dining Table comes with a 20-Year Limited Warranty. This dining table has wood slides which are the original table slide. Wood slides will never rust and offer strong support for added extensions. This custom dining room table comes with many features and we're happy to help you design it. Amish Furniture Specialists can be reached by phone or email. Get in touch today. If 3 or more extensions are selected a center leg will be included in the table price. If 8 or more extensions are selected two center legs will be included in the table price. Note: Tables 54"long and shorter are designed for no more than 2 extensions. Note: All Extensions Include Skirting. Really pleased with quality and look of all items ordered - especially chairs - WOW is an understatement!! REALLY pleased with furniture - VERY high quality. I am a super picky kind of person who appreciates 'best' for just about anything, and this furniture has really impressed me. Finishing up painting the house right now. Can't wait to start enjoying the new toys.